He who saves a fellow-creature from drowning does what is morally right, whether his motive be duty, or the hope of being paid for his trouble; he who betrays the friend that trusts him, is guilty of a crime, even if his object be to serve another friend to whom he is under greater obligations. The most rewarding times are those spent in changing lives for the sake of humanity. 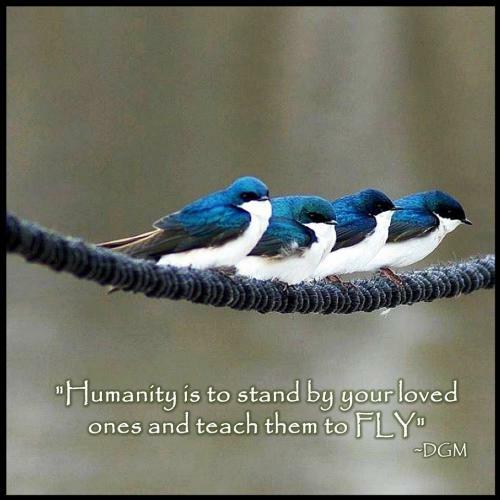 Humanity is to stand by your loved ones and teach them to FLY. 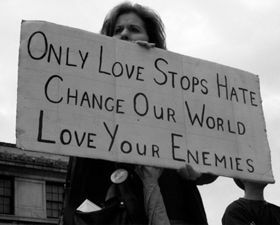 Respect all humanity equally. No man is superior to another except for his Actions. With the technology in use today ,gaps have been bridged and distances have been closed. But we have compromised on the handshake,the hugs and those kisses and we cant say a thing because we have become a part of the revolution. Individually we are a drop, together we are an ocean. Humanity is certainly an ocean but a few drops of them are made dirty by a few people who do not hold great respect for moral values. But that does not mean that the ocean has become dirty. There is still hope for humanity and the light it spreads on this universe. “The great moral teachers of humanity were in a way artistic geniuses in the art of living “, said Albert Einstein. If every individual were to behave in a refined manner by abiding the laws, with mutual respect for fellow humans, humanity would be saved. “On personal integrity hangs humanity’s fate “said Buckminster Fuller. Technology is one of the factors that contribute to the influence on humanity. We have the opportunity to take humanity to great heights when we make use of some basic qualities like forgiveness, saying thank you, or sorry etc. Here are quotes on humanity, read them they are interesting.